Home » Article » Devil May Cry 5 » Devil May Cry 5 to be shown at TGS this year? Devil May Cry 5 to be shown at TGS this year? Those of you following our Facebook page would have seen that I recently reposted some new information regarding Tokyo Game Show 2014 and the possibility that the next Devil May Cry will be making its debut announcement there. So, is Capcom ready to announce their next title within the series and if so, what should we expect? After Ninja Theory's latest take on the series, it became quickly apparent that fans of the original titles were unhappy with the new direction of the game. DmC: Devil May Cry was a good game, but it wasn't Devil May Cry and many fans knew that. Sure it shared a similar theme to the original series, character names were the same and the overall style was very similar to that of what we knew, but it wasn't Devil May Cry. Instead, it was a game that rode on the name and fame of Devil May Cry, but to me should have been its own original title, having decent enough design and gameplay mechanics to undoubtedly carry itself to victory. Despite this, with Capcom giving Ninja Theory the rights to create their own vision of the Devil May Cry universe and Hideki Kamiya seemingly ready to work on a future title if asked (according to past replies on his Twitter feed at least), will we finally get to see the creator of our much loved series back at the helm with Platinum Games possibly being given the rights to a future title? Nothing's certain right now, but a large majority of Platinum Games staff are ex-Capcom and ex-Clover employee's, so a partnership with the original creator of Devil May Cry and all those who are familiar with the series would seem ideal, wouldn't it? With Ninja Theory's take of the Devil May Cry series only being released last year, I feel it's unlikely we'll see anything of a new DMC title at this years Tokyo Game Show, but should Capcom prove me wrong, I feel that we'll be in for a real treat. Back in 2010, Capcom practically alienated their fanbase with the announcement of DmC, determined to reach their desired sales figures no matter how many fans they lost, and yet that didn't happen. Reports showed that DmC didn't hit the figures Capcom were aiming for and although I really enjoyed the game (despite being massively put off originally and still believing DmC should have been its own original IP) I, like many fans, still wish to see the original Dante make a comeback. Devil May Cry HD - With HD textures, this 2001 game still holds up well today. Was Ninja Theory and Capcom's partnership a bad move though? I don't believe so. Ninja Theory used Capcom's expertise and took a lot from one of the gaming industry's largest names, creating an entertaining, over the top action game that had its own unique style and flair. I recall back when DmC was first announced, the backlash was huge and Capcom expected a backlash, but just didn't expect it to be quite as grand as it was. So I guess the next question is why? Why did Capcom expect a backlash? It's not Rocket Science to know that if you change something so drastically to a point where it becomes almost unrecognisable, fans of the original content could be very easily put off and yet, Capcom went ahead with the decision to outsource their title to an "artsy" studio regardless. Perhaps they were testing the waters. Perhaps they wanted to have two separate series running simultaneously - One for the original fans and another for the more casual gamers amongst us. 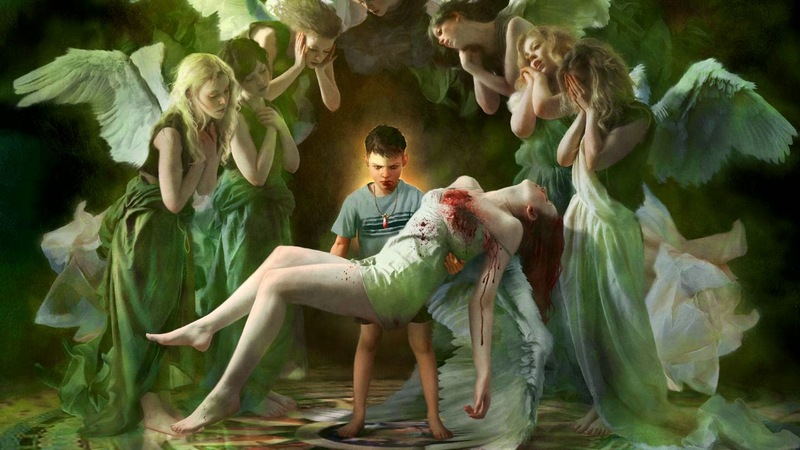 Ninja Theory's work was beautiful, but not DMC. Capcom knew what they were doing regardless and no matter how many fans were put out by the new direction, looking at the bigger picture, Capcom in my mind were in a "win win" situation. 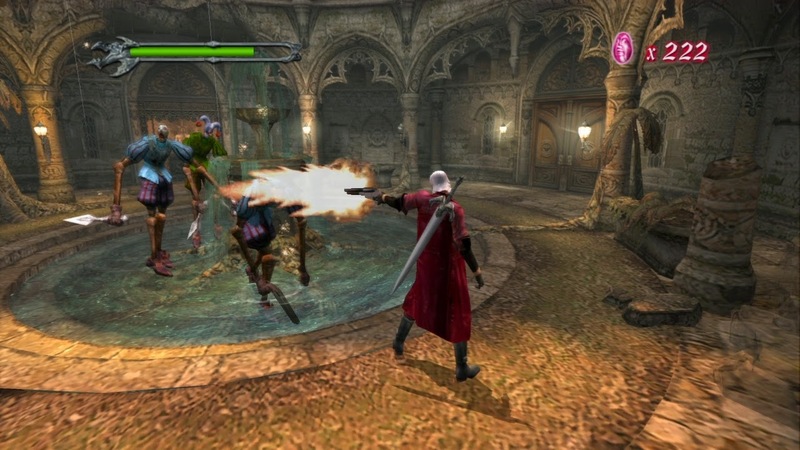 By releasing a wildly different reboot of Devil May Cry, they could gauge how much interest (or lack of) there was for a reboot and if said reboot failed in the most completely and utterly miserable way possible, they could simply go back to basics and release a game true to its original roots once more. I mean sure there would be hesitance, but with the series starting to run dry, the backlash really did show that fans still held the DMC series close to their hearts and so I believe that should a "true" DMC title be announced, sales will once again soar as fans of the original series (and some new) return to experience that which made the original titles so great. Above and in the header of this article, you'll notice that the logo shown is a little different from that of what we've seen previously. The "Devil May Cry" font isn't the trademarked red we're used to seeing and it is likely fan made, however what you probably didn't notice is that whoever designed the logo has a good grasp of Graphic Design and seamlessly integrated Nero's "Red Queen" (his sword for those of you who aren't familiar with DMC4) into the number five. I only noticed this after analysing the shattered look of the digit myself, but I feel this is something Capcom could experiment with in order to generate further buzz. With subtle hints here and there through the use of media and social networks, utilisation of ambiguous viral campaigns and clever use of imagery (as seen in the title above), we would be curious enough to want to find out more as we try to determine where the series will likely go next. At this stage everything is pure speculation, but should a new DMC title show itself at this years TGS, where could the series possibly go? Would it be set after the events of DMC4, giving us a little indication as to Nero and Dante's actual relations, or could it be set between DMC1 and 4? Could the series once again return to Dante's teenage years or do Capcom believe they've told all there is to tell with DMC3 being the origins story? There's a lot of time between the events of DMC3 and DMC1 and let's not forget that Dante's Devil Hunting business has been running successfully for at least twenty years now, so really anything's possible and I'm just excited to see where the story goes. My views could be considered biased as I openly admit that Devil May Cry is my favourite gaming series of all time, but to me Devil May Cry is a series too good for Capcom to let go of, so even if there's no mention of a new title at this years TGS, I'm sure it won't be too long before we hear more! 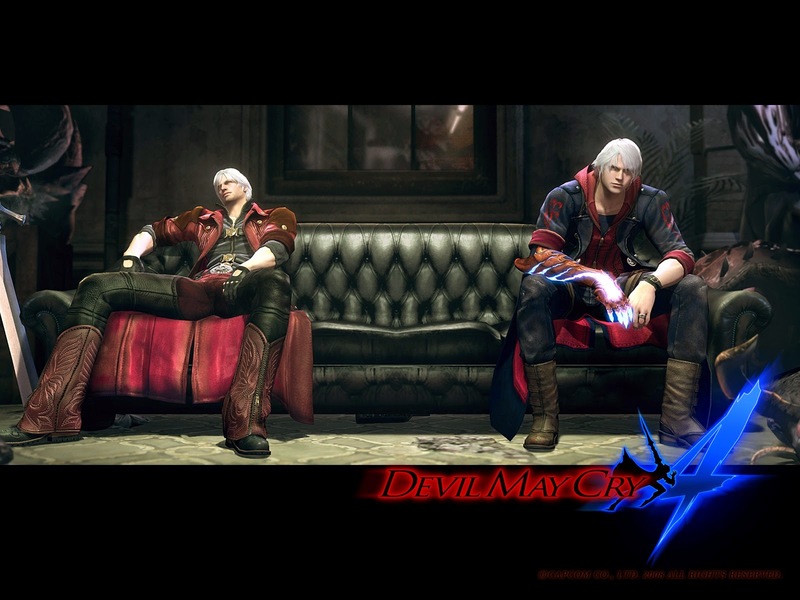 Dante and Nero, waiting for their next debut. Why don't we set up some sort of Twitter Campaign tweeting at Capcom employees asking them to let Platinum Games make Devil May Cry 5? I think most fans probably want to see this happen. While that would be an amazing idea, Platinum Games already deals with Bayonetta, so it wouldn't make sense to make essentially what would be a "rival" game. Well you never know... one day perhaps.